It was September 1977, I was living in New York and this was my very first visit to Ireland. I arrived in Belfast via the ferry to Larne and went to stay in North Belfast with the mother and sister of a Northern Irish friend from New York. 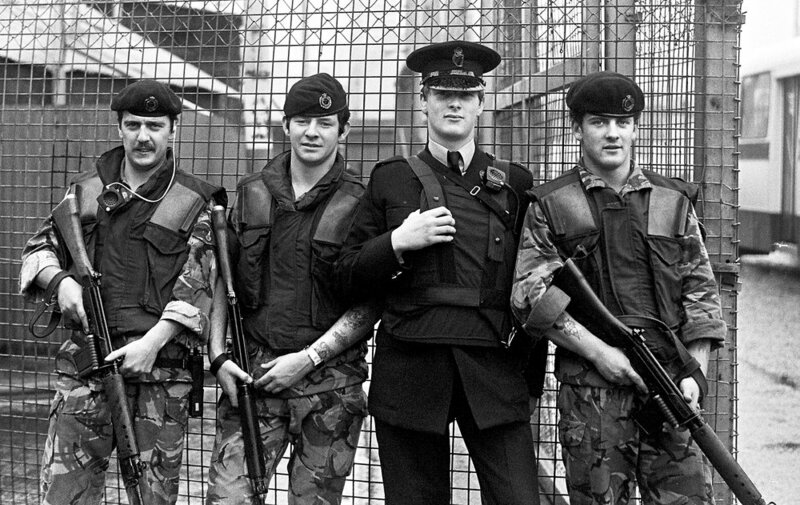 Without any ID or press pass, I presented myself to the barracks in Lisburn and told them I wanted to go out on patrol with the army so I could write an article. 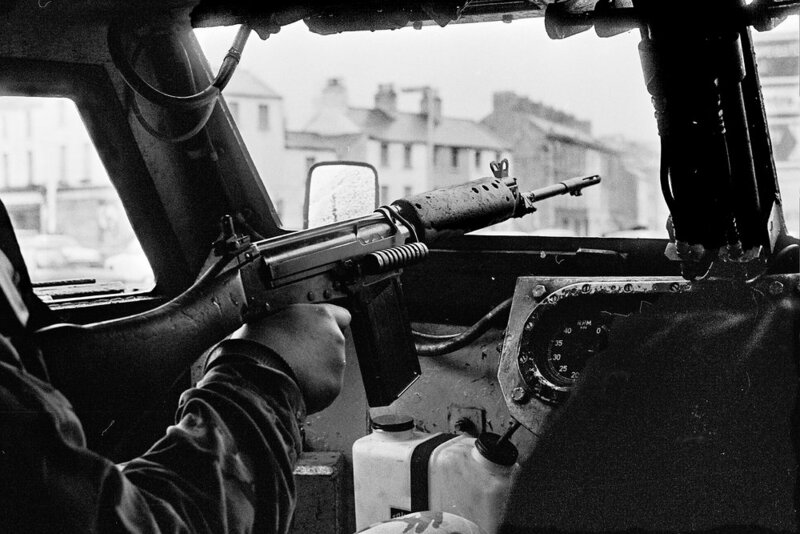 (I am not sure how I got there but it was probably via a press officer contact in the Northern Ireland Tourist Board ...) With little ado, I was given a ride in a Saracen and sent out with a foot patrol in the Markets -- allegedly pursuing the rumour of sniper fire. I can remember what I was wearing -- jeans and a red hooded sweatshirt. My camera was a manual Fuji SLR with a wonderful 1.4 50 mm standard lens, with which I took many black and white photos until it was stolen in the 1990s. 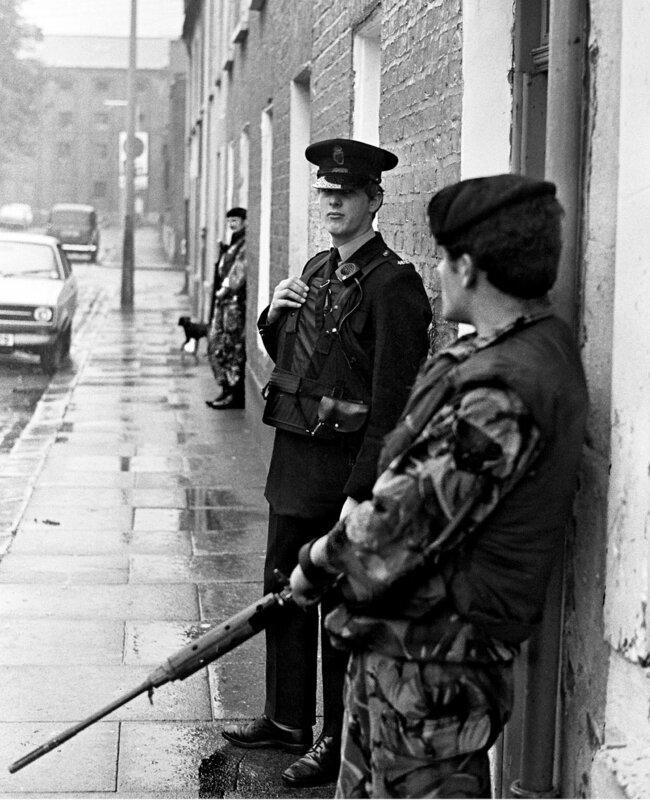 My favourite of these photos is the portrait of the patrol -- I think you can see both aggression and apprehension in their eyes; the other favourite, of course, is "soldier and child", which was one of two photos published with an article in the New York Daily News in March 1978.